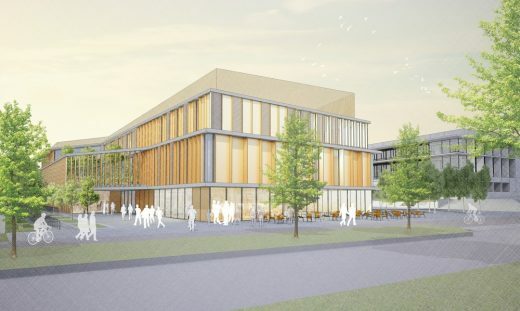 The scheme will enhance the West Cambridge research campus, which aims to create a globally significant research hub for the University’s physical sciences departments, to ensure it continues to attract and retain the world’s best academics and researchers. It will also serve to support entrepreneurship and collaboration within the industry. 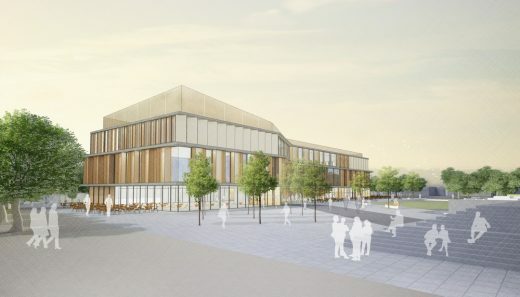 Jestico + Whiles has also designed the Shared Facilities Hub, a 4700 sq m shared facilities building located at the heart of the campus, which will provide teaching and learning spaces for all members of the West Cambridge campus, alongside catering and library facilities. 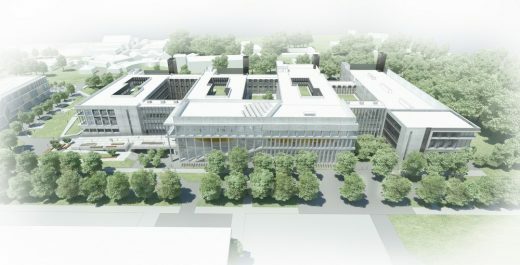 In December 2017, the University of Cambridge received an £85 million gift from the estate of Ray Dolby, founder of Dolby Laboratories and its world-renowned Dolby Noise Reduction, Dolby Surround and successor audio signal processing technologies, which have revolutionised the audio quality of music, motion pictures, and television worldwide. The Dolby family gift is the largest philanthropic donation ever made to UK science, and will support the Cavendish Laboratory, the world-leading centre for physics research where Ray Dolby received his PhD in 1961. Cavendish III is scheduled to open at the end of 2022, with construction expected to start in 2019. Led by Jestico + Whiles, the design team includes Jacobs as technical architect, and Ramboll as civil, structural and vibration engineer. AECOM has been appointed as the cost manager, Hoare Lea as the services engineer and Currie & Brown as the Project Manager. The Cavendish is arguably the most famous physics laboratory in the world, being consistently ranked as one of the top physics laboratories world-wide on the basis of the excellence of its research and teaching programme. The Department has produced 29 Nobel Prize winners. It is where J.J. Thomson discovered the electron, where James Chadwick discovered the neutron, where Rutherford split the atom and where Crick and Watson first discovered the structure of DNA. 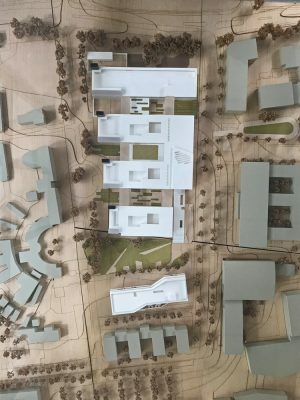 Key aims of the new Cavendish Laboratory include encouraging collaboration between users and providing highly flexible and adaptable research and teaching space. 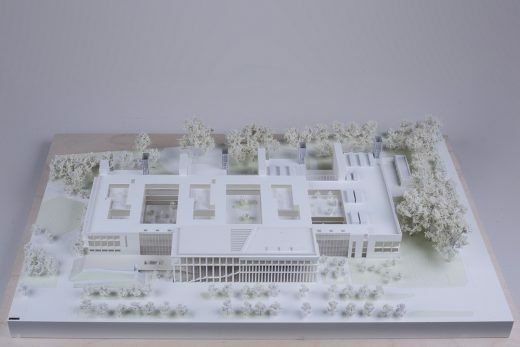 With a total Gross Internal Floor Area of around 35,000sqm, the proposed building will need to accommodate 900 staff and 560 full time equivalent students including 15 research groups. 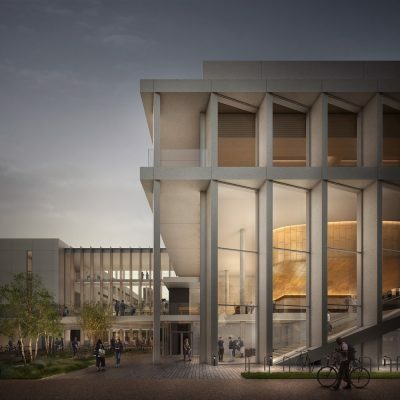 Located on the University’s emerging West Cambridge campus, Cavendish Laboratory will also provide major teaching and learning facilities both for the Department of Physics and the wider University community, as well as public outreach and conferencing programmes. 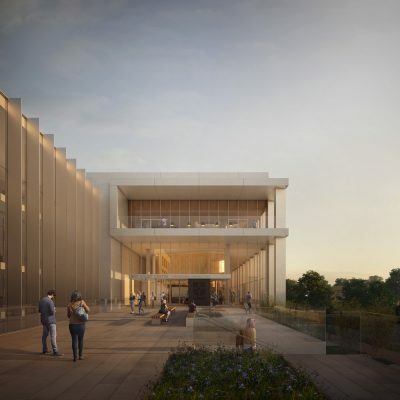 The building will therefore include a diverse range of spaces including cleanrooms, laboratories, offices, reception, exhibition, lecture theatres, seminar rooms, learning resource centre, outreach, computer room, common room, meeting rooms, supervision rooms, teaching laboratories, workshops and stores. 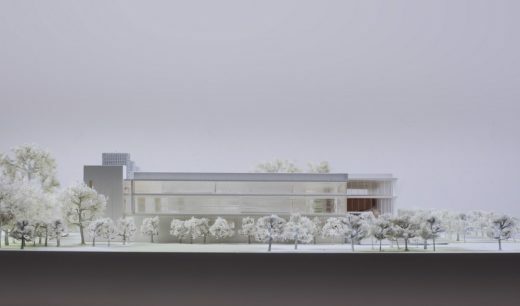 The proposed building arrangement aims to resolve the complex and sometimes conflicting considerations, presented by the brief and the site, into a simple, elegant and coherent design solution. 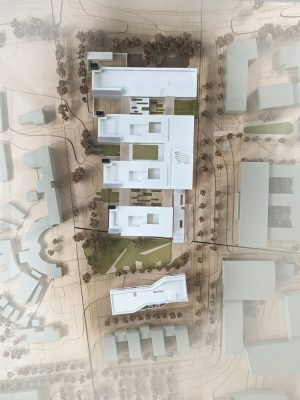 The facility is therefore organised into four principal zones: a utility zone to the west, a research zone in the centre, a public zone to the east and a ‘Street’ which links the zones together. The proposals have been heavily influenced by the highly technical requirements needed to host physics experiments, where environmental influences can distort the results. The building has been designed to provide highly controlled vibration performance, which has led to an ultra-low vibration basement located in the quietest part of the site. The brief for the design of the building elevations outlined both functional and qualitative considerations. The latter included responding to the sense of place, defining the identity of the Cavendish, expressing the cutting-edge science being carried out in the Department and creating a timeless appearance. The architecture seeks a sense of permanence and visual weight, which responds beautifully to movements in sunlight and shade, and uses durable materials in a way which is coherent and true to its construction. The design takes inspiration from Cambridge City Centre; its distinct identity and rich history, which is reflected in its architecture. This approach led to a simple contemporary material palette for the new Cavendish comprising reconstituted stone, metal, render and glass. The same palette of materials is employed across the building to give a unified sense of identity, but the balance of this palette is subtly adjusted in response to function and solar orientation. In contrast to some of the other institutions which exist on the West Cambridge campus, views into the internal courtyards are created along J.J. Thomson Avenue. This helps to break down the apparent mass of the building. 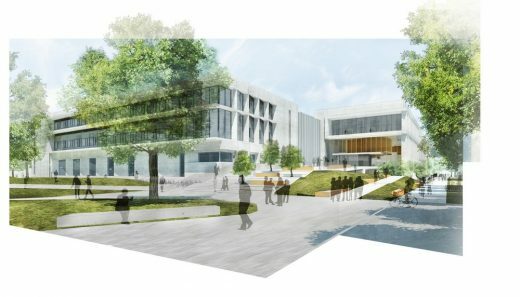 Active frontages are also created on the south and east facades by creating a vibrant new public entrance square and introducing large picture windows into the public wing and some of the laboratories, thus revealing some of the cutting edge scientific research carried out at the Cavendish. The landscape treatment around the perimeter of the building ties in with this architectural approach and also provides three publicly accessible ‘pocket gardens’.